Hot Water Extraction Carpet Cleaning – Your Best Choice! 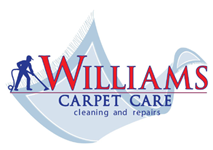 In the carpet cleaning world, you’ll often hear the phrases “steam cleaning” or “hot water extraction”. You might have no idea what that means or how it work? Have no fear, we are here to guide you down the right roads so you can reach your destination – freshly, cleaned carpets! What is Hot Water Extraction (HWE)? Cleaning agents – kind of like a detergent but much more advanced! There are hundreds of cleaning agents that are all geared for different uses. An experienced team knows when and what products to use. High Pressure – think of it like a mini-pressure washer (without the mess). The hot water and cleaning agents need to be pushed deep down into the carpet fibers to “rinse” the dirt and grime so it can be removed. Powerful Vacuum – this power is essential to remove the dirt and grime. You need strong suction to “extract” the dirt, grime and water so your carpet will be left clean with a fast-dry time. How do you get all this – with a professional truck-mounted machine and a trained carpet cleaning expert! You need the knowledge and right equipment to get the best cleaning. Rental machines from local grocery store just don’t cut it. These machines lack the effectiveness that you need and can even leave your carpets over-wetted, allowing mold and mildew to grow! There is a reason almost every professional carpet cleaning business chooses HWE, because it is hands-down the best method!